Vital Life Wellness Center (San Antonio) - Book Appointment Online! Hormone Replacement Therapy. Weight Loss with Ideal Protein. Aesthetics. Family Care. Please include insurance information to better serve you. (select insurance card capture.) 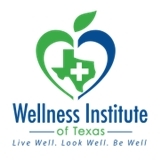 Wellness Institute of Texas is a family care practice in San Antonio, Texas. Mrs. Rochele Nicolas-Wedige, NP and Mrs. Inez King offer full family care services, weight loss, and aesthetic services. Our family care services include annual and sports physicals, hormone replacement therapy, fat loss and women’s health services. To ensure our patients look the best in addition to feeling their best, we offer Botox treatments, dermal fillers, sclerotherapy, and skin rejuvenation. We offer Medical Grade skin care products, and Ideal Protein® products to serve our clients' needs. Really enjoyed this medical professional. Great bedside manner and I have similar wellness beliefs as her. Always a good experience when visiting.